The newly designed 2018 Chevrolet Traverse debuts today at the Detroit Auto Show, with sharp new exterior design and some fun features inside and out. On the outside, the redesign offers both clean, smooth paneling and bold accents including chrome trim and LED lighting, matching the styling of the new Chevy Equinox. 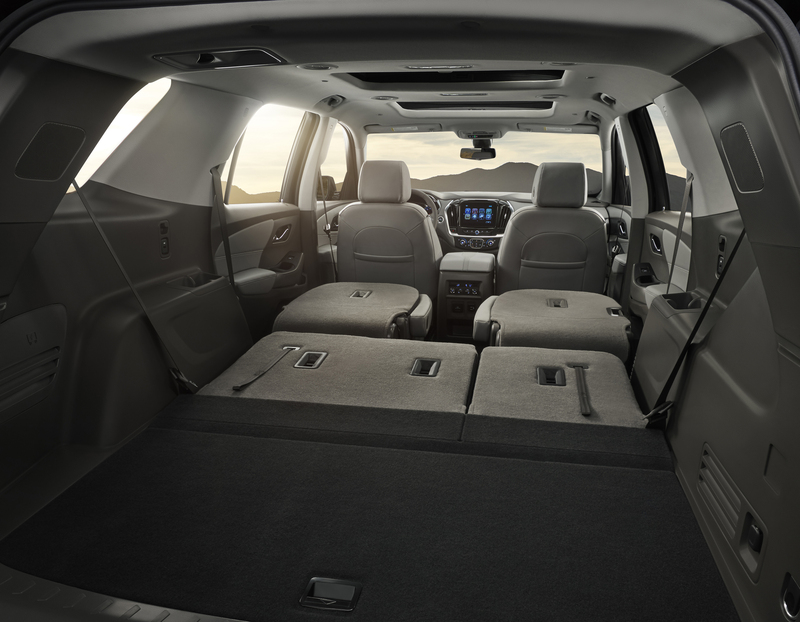 On the inside, it seats eight and offers ample third-row legroom that Chevrolet boosts will be best-in-class at 33.7 inches, as well as abundant cargo room. With a longer wheel-base than previous models, max cargo room has been increased to 98.5 cubic feet. The Traverse also has several connected technologies and active safety features available. 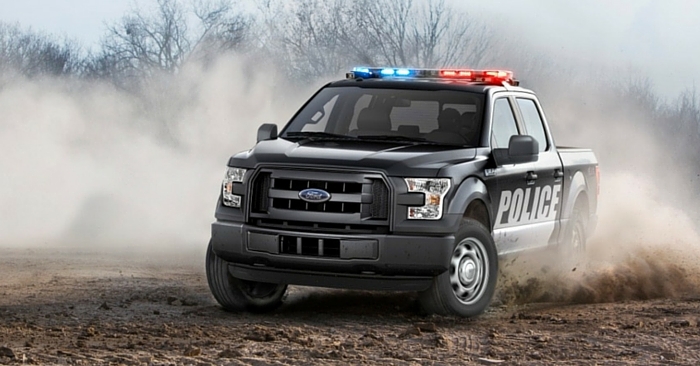 New available safety features include Forward Collision Alert and Front Pedestrian Braking, Low and High Speed Automatic Braking, Lane Departure Warning and Lane Keep Assist, Surround Vision, and D-Optic LED headlamps. Other features include Adaptive Cruise Control, Rear Parking Assist, Lane Change Alert, and standard Rear View Camera. Teen Driver is standard, giving parents an opportunity to encourage good driving habits without being in the vehicle. Also standard is Rear Seat Reminder that chimes to remind you to check the back seat. 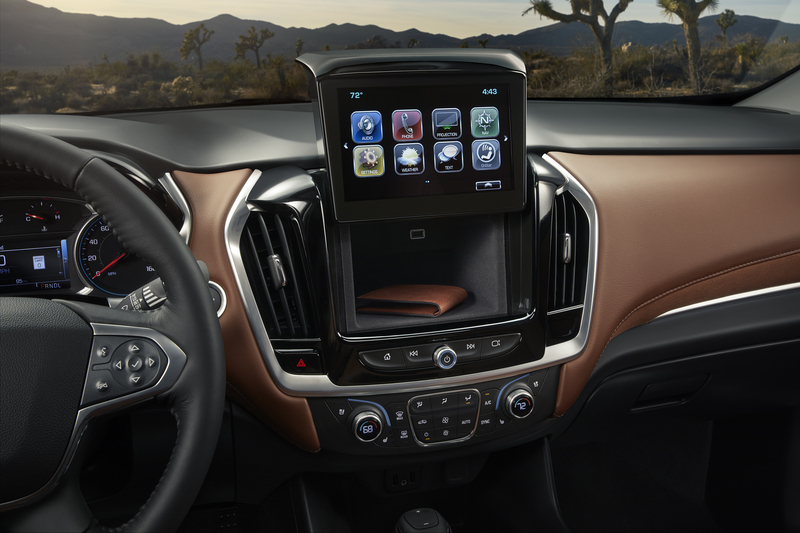 Connected technologies available include Apple Carplay, Android Auto, OneStar 4G LTE Wi-fi, and 7 or 8-inch MyLink infotainment touchscreen. USB ports are available to the first, second, and third row for device charging. One of our favorite features is the hidden compartment behind the 8-inch touchscreen. 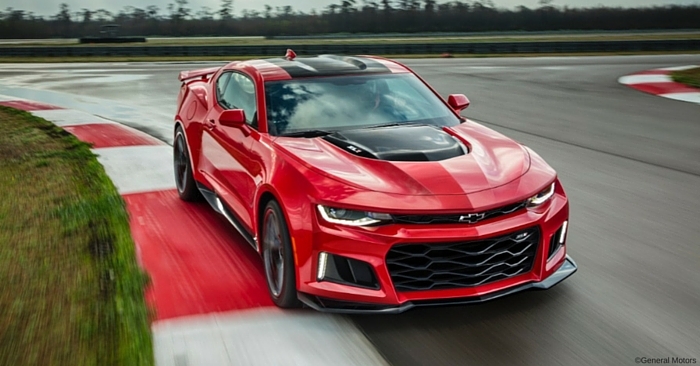 Under the hood, Chevrolet has upped horsepower by 10% with its new 3.6 L V6, paired with the new 9-speed transmission. 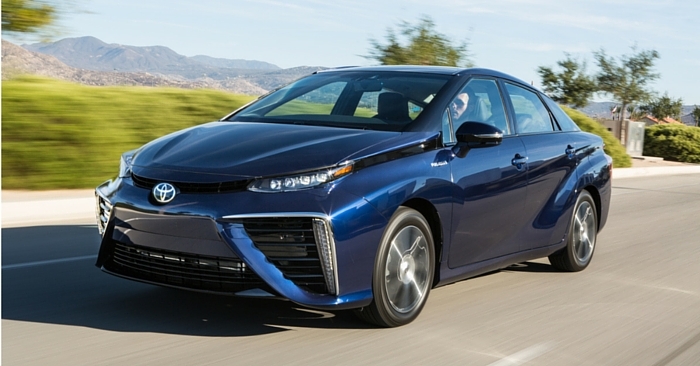 Expect 25 mpg highway and an estimated 5,000 lb towing capacity. The new Traction Mode Select feature is standard on all trims and allows drivers to adjust driving modes in real-time, adapting to road conditions as needed. The AWD version helps save fuel and refinement by disconnecting from the rear axle entirely if desired. 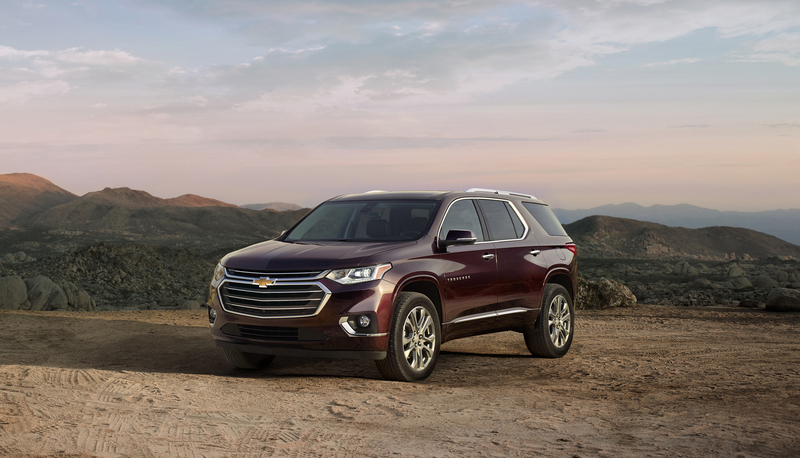 Two trim levels have been added to the Traverse line-up. The sporty RS trim includes stealthy, blacked-out cues, black chrome grille and black Chevrolet bowtie, as well as 20-inch wheels. The RS exclusively features a 2.0 L turbocharged 4-Cylinder with 295 lb-ft torque. 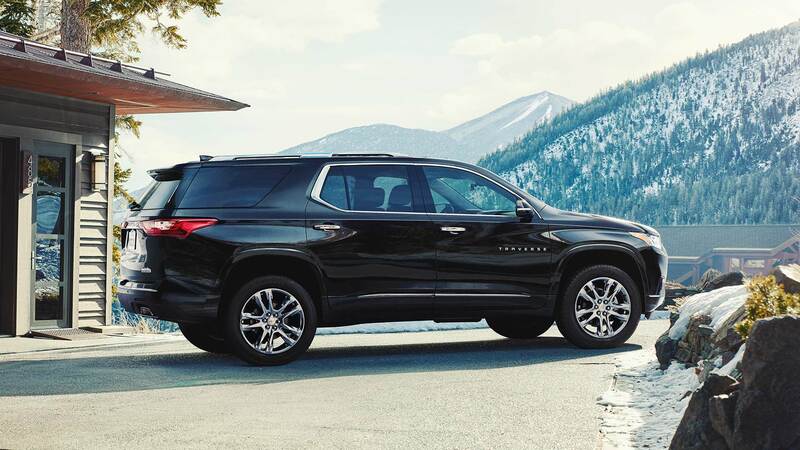 The High Country trim features premium materials, brown leather and suede interior accents, standard twin clutch all-wheel drive, power-fold third-row seats, polished 20” wheels, and D-optic headlights. It also comes with Advanced AWD, employing twin-clutch technology for adverse road conditions. Expect the Traverse to hit dealerships this fall. 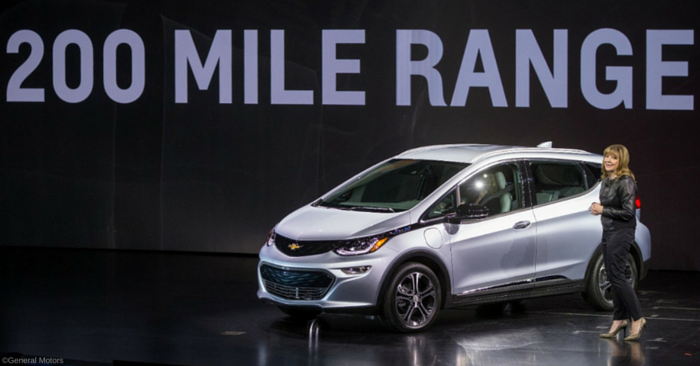 Pricing should start around $30,000 for the base model, with the High Country trim starting around $50,000. What do you think of the 2018 Chevrolet Traverse? Let us know in the comments!